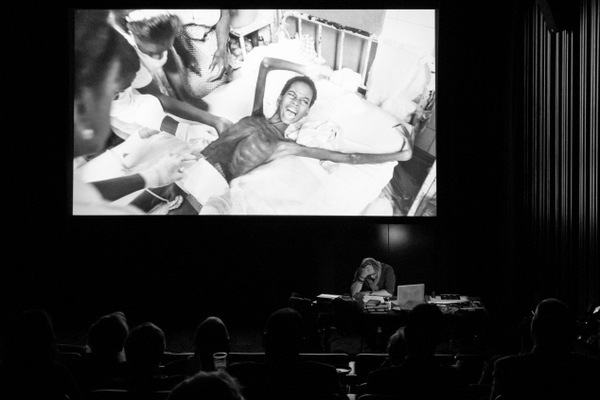 Renowned Australian conflict photographer, Stephen Dupont, has unveiled a theatre project called Don’t Look Away, which blends scripted and improvised dialogue against a backdrop of pictures and footage from the frontlines. The hour-long production takes viewers to conflicts in Afghanistan, Rwanda, Somalia, Vietnam and other places. The confronting photos show the tragedy of war, and aim to show how shocking and inhumane conflict is for people unfamiliar with it. Dupont said that after his mother passed away he felt the need to look into his life, and that meant going through his archive. The show debuted to a sold-out crowd in January at MONA’s Mofo Festival in Hobart. It will show at the Museum of Contemporary Art Australia during Vivid Sydney in May and June, and will then continue on a national tour. This entry was posted in News by Keith Shipton. Bookmark the permalink.